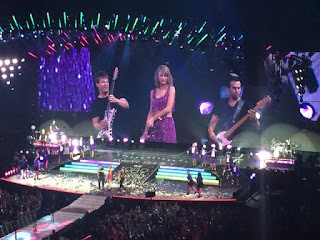 Hey lovelies, so I was lucky enough to see Taylor Swift last night in Glasgow. 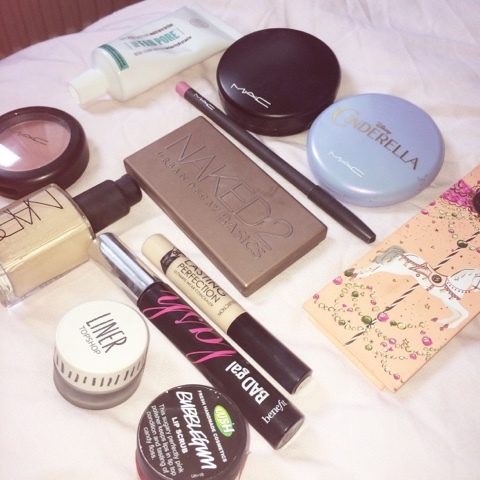 I thought I would do something a little different and I would show you what make-up products I I wore. 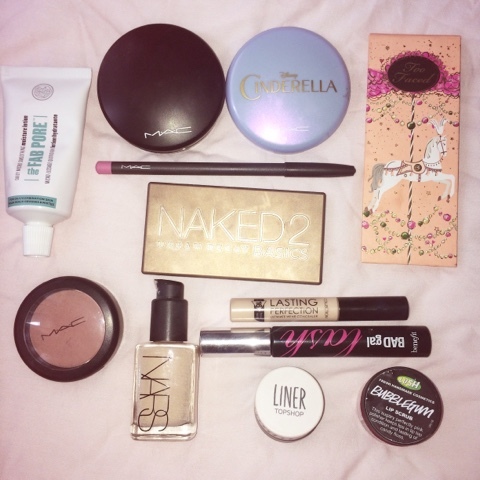 Unfortunately I never got a picture of my make-up, but these are the products. The Fab Pore by Soap and Glory. I finally found a perfect moisturizer for my skin. It is amazing. Mac Natural Finish Powder in Medium. This gives the prettiest shimmer on your skin. Two Faced La Belle Carousel. I used Angel Hair and Haute Chocolate. Angel Hair is a gorgeous gold for all over my lid as well as on my lower lash, while I used Haute Chocolate in my crease. Cover is a perfect shade for my eyebrows. I get a lot of compliments on them whilst using the colour. This blush matches my natural skin tone perfectly. This has to be my all time favourite foundation. Collection 2000 Long Lasting Concealer. My holy grail concealer. (When it isn't sold out). This is not always my go to mascara but last night it worked perfectly. I am not the best at the wing eyeliner right now but I do love this as it is super easy to apply, and gives a great look. And Lastly Lush Bubblegum Lip scrub. This really helps moisture my lips. Like I mention this was Taylor. It was such a great night!! She is such a kind and down to earth person and if more people where like her the world would be a better place. I don't get a lot of photos but here is my favourite. 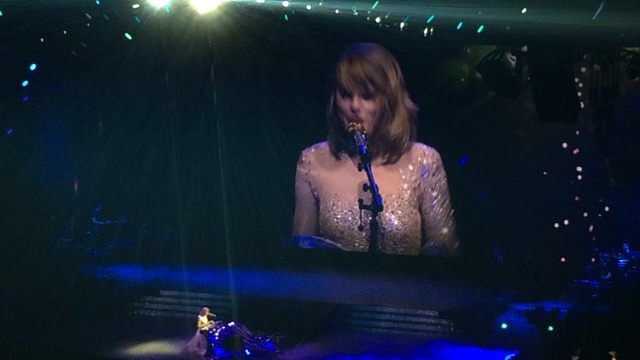 After waiting six years to see her, She was incredible, it was definitely worth the wait. Big appreciation to Taylor, if you ever get the chance to to her perform live I would HIGHLY recommend it. What is your ' MOTD'? What artist are you loving right now?